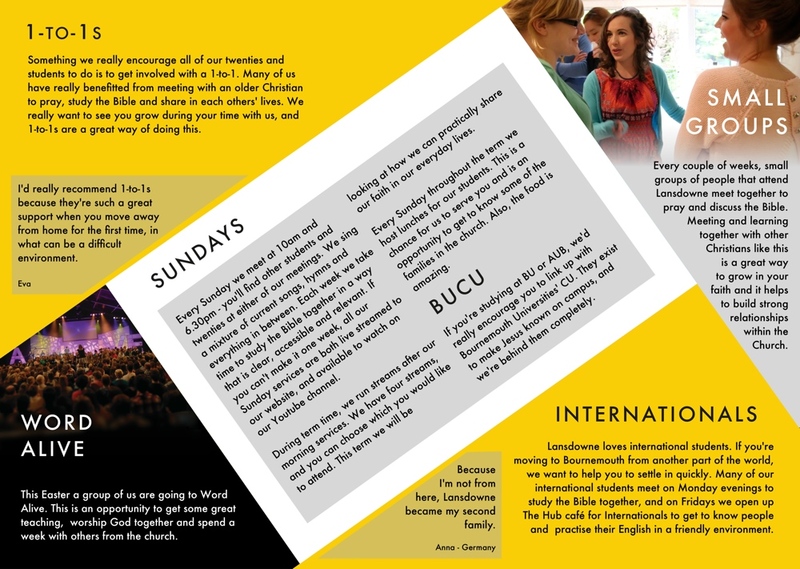 A ministry relaunch, and Fresher’s campaigns for 2013 and 2014. 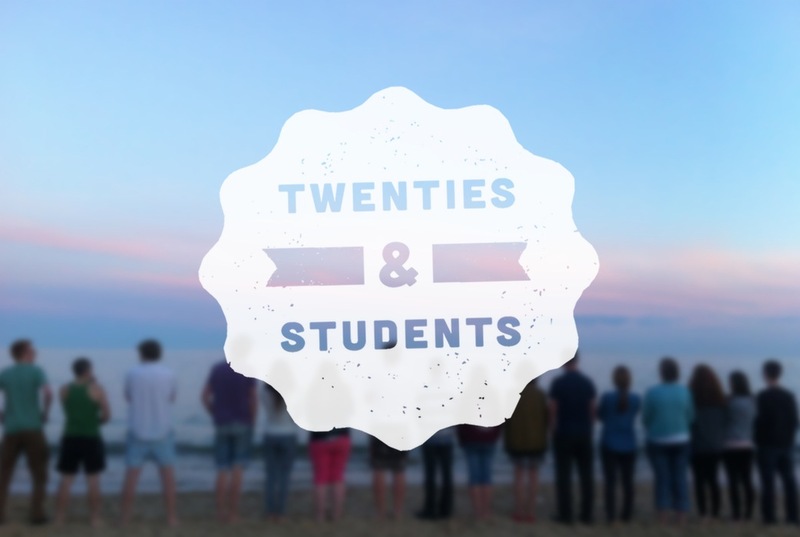 It was time for a relaunch of the students ministry at Lansdowne Baptist Church, bringing those in their twenties under a group branded as Lansdowne Twenties and Students. This involved a Facebook group, which I was responsible for moderating, and publicity, both print and digital, for upcoming events. 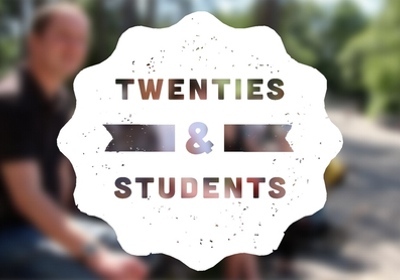 In the September of 2013, and again in the following year, I filmed and edited a ‘welcome’ video, for students arriving in Bournemouth to study. 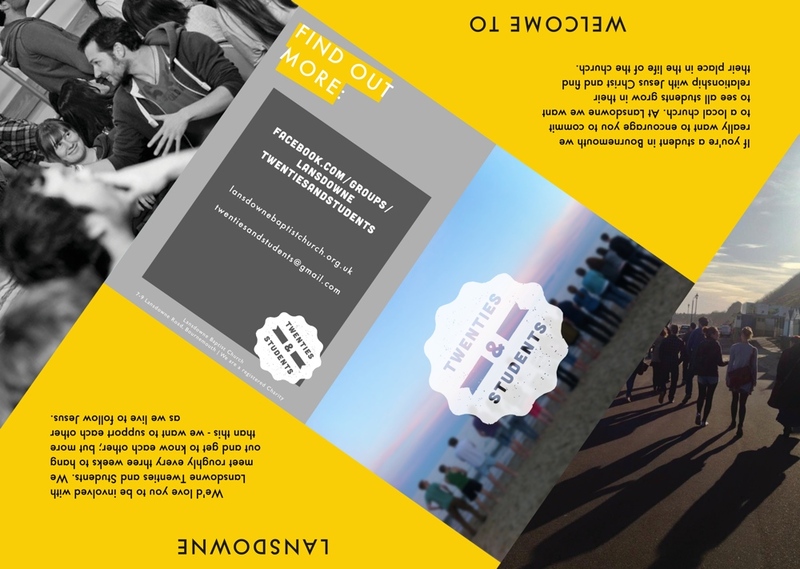 Along with the videos I produced print publicity, including unique ‘student welcome packs’ (pictured) which contained useful information, as well as a flyer and some sweets (the surefire way to a student’s heart). Photoshop, Final Cut Pro X, Pixelmator, Final Cut Pro 7, printed on various media, as well as distributed via social media and the Lansdowne website.